"We are also a little disturbed with the view expressed in the detailed counter affidavit and elsewhere that the appointment of the appellant was irregular if not illegal. If that is so and the State Government of Kerala is bent upon making irregular or illegal appointments to sensitive posts, then no one can help God’s own country", said the Bench. In a major verdict, the Supreme Court today ordered the Kerala government to restore the services of ousted DGP T P Senkumar holding that his removal was arbitrary and not as per established law. This meant that incumbent Loknath Behera will have to be removed from the post. "On an overall consideration of the material on record and considering the case in its proper perspective, that is the events post the Puttingal Temple tragedy and the Jisha murder and not the two tragedies themselves, we have no hesitation in concluding that the appellant has been unfairly and arbitrarily dealt with. Under the circumstances, we are compelled to set aside the judgment and order of the Central Administrative Tribunal, the impugned judgment and order of the High Court as well as the order dated 1 st June, 2016 and direct the State of Kerala to reinstate the appellant Dr. T.P. Senkumar as the State Police Chief." the SC bench ruled. A bench of justices Madan B Lokur and Deepak Gupta was delivering its judgment on a plea filed by Senkumar early last month seeking his restoration into service. Senior advocate Dushyant Dave, who appeared for the ousted DGP had argued that his removal from the post by Chief Minister Pinarayi Vijayan can only be related to his "independent and thorough investigation into the political violence in the state in which several CPI(M) leaders had come under the probe" and had "nothing to do with his handling of Jisha murder case or Puttingal fire tragedy" as alleged by the state government. Senkumar also challenged the decision of his removal as a violation of Section 97(2)(e) of Kerala Police Act which assures a two-year tenure to the DGP. He was removed with one year of his tenure still left. On its part, the state had argued that “the petitioner had not pleaded any malafides against the additional chief secretary(Home) who prepared the reports pertaining to Jisha murder and Puttingal temple fire tragedy. “The manner in which the petitioner dealt with the temple fire and jisha murder created widespread serious dissatisfaction among the general public about the efficiency of the state police”, the state government affidavit had stated. Dave had argued that the state government's decision smacked of arbitrariness. "I am being damned without reason. By the same standard, will the chief minister be removed taking responsibility for the political murders?" he asked. The court had prima facie agreed with his submission that a top officer cannot be punished for an incident. "We have been reading in papers about crime incidents that take place almost daily. If on the basis of such incidents, you begin to remove DGP of a state, there would be no policemen left in this country to serve at this post," the bench had said. 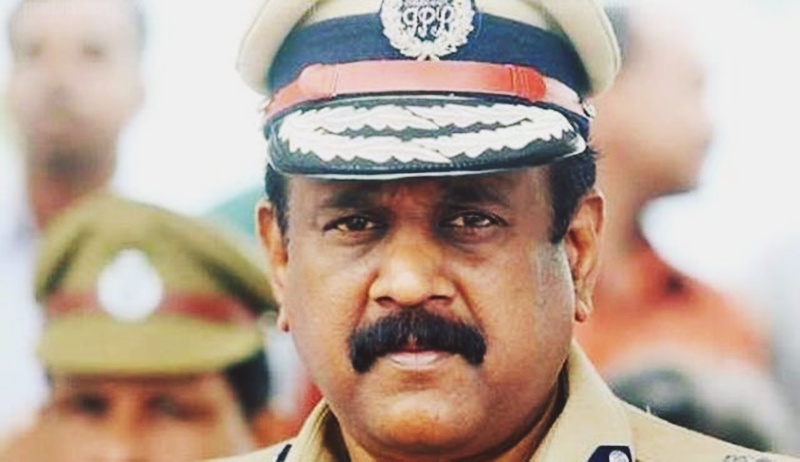 Mainitaining that he was targeted for acting against political violence, Senkumar had said “It would be pertinent to note the disastrous increase of the spate of political killings that have occurred in the State of Kerala since my removal as State Police Chief. I took it upon myself to impose a crack down on any form of political violence in the State , as a result of which there was a huge reduction in numbers. In the 1st year since I was removed, there have been 13 political murders in the State. It is submitted that the freedom and independence to act without fear of back lash against persons regardless of political affiliation was the intent behind this Hon'ble Courts judgment in Prakash Singhs case”.